Emotions ran high on February 9, 2019, as students filled the auditorium in their gorgeous outfits for Batch 2019’s farewell. The ceremony opened with a simulation of a flight announcement to keep up with the central theme of “Viman”, showcasing the seniors’ journey through the three years in college. Throughout the entire show students from Batch 2020 gave the farewell to their seniors mimicking their seniors, to align with the theme of Batch of 2019 giving farewell to themselves. This innovative theme caught everyone off-guard and received hearty laughs. The event saw ‘The 3 Years Challenge’, in which images of some students from when they started their journey in SCMC alongside their present ones. A very warm Yearbook video, which consisted of many happy moments, followed. The professors then arrived and wished the students the very best for their futures. To brighten up everyone in attendance, 2020 had organized a unique award ceremony for their seniors modelled after their beloved shop- The Hiras of 2019. The highlight was the farewell special edition of Shipwreck. 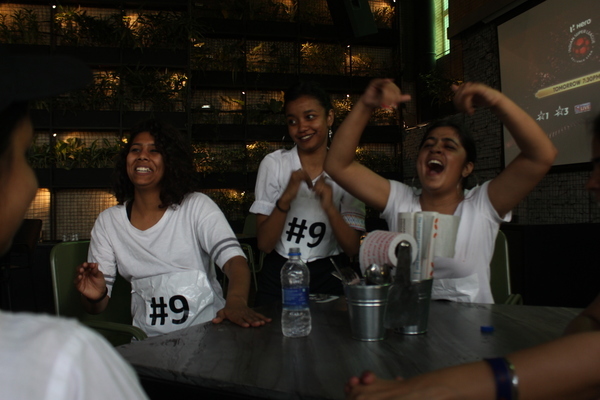 Rujuta and Anish pretended to be their batchmates Simran and Pranav respectively and attempted to convince the jury- which comprised of 2020 students mimicking the OG jury of Shipwreck- to take them on the ship. The original jury of Shipwreck - Aroush, Armaan and Ankita were also invited on stage to be themselves and convince the jury. The Farewell also witnessed some amazing confessions, with one of them resulting in Ansh and Raj dancing to romantic numbers on the stage and delighting the crowd. Shreevar then thanked the batch for some amazing experiences and memories together and also declared the Batch of 2020 the best juniors ever, saying that he’d miss them as much as he would miss Batch 2019. The cultural event started with Batch 2020 dedicating an emotional acapella number to the batch of 2019, followed by dancing to some peppy tracks. The seniors soon joined in the revelry, before a movie that articulated the tender moments from the farewell itself was screened. A batch photograph was taken for the last time before the mementoes were distributed. One could not have asked for a better ‘SymBYEsis’ after three years of Symbiosis. The 2019 edition of SCMC’s annual inter-batch sports meet, In True Spirit (ITS) took place from January 28-30, in the Symbiosis Old and New Viman Nagar Campus. The matches took place in the morning and evening on the first two days, with the third day being entirely dedicated to the event. However, the Badminton and Swimming tournaments took place at the Lavale Campus on January 18 and the Table Tennis tournament was held in the Viman Nagar A-Wing hostel on January 19. The winners of each sport earned five points while second and third place finishes rewarded three and one points respectively. In the end, with a total of 50 points, Batch 2020 were declared winners of ITS 2019. 2021 finished second with 46 points and 2019 stood third with 30 points. Football witnessed the largest audience turnout at ITS. The opening match, 2021 vs. 2020 saw brilliant defending from both sides, but 2021 ended up with two horrific own goals and lost the game. They played 2019 next and the match ended with an equalised score. 2019 won the penalty shootout. With one win each under their belts 2020 and 2019 took to the field in the final that was without any goals at full-time, but was hardly uneventful on-field. The aggressive match ended in 2020’s favour, and they were hailed football champions for ITS 2019. As the red dust settled in the football field, the crowd moved to the SLS basketball court, where Batch 2020 won both their round matches clinched the trophy with a victory against batch 2019. The women’s basketball was won by newcomers Batch 2021 led by captain, Rajreeta Ghosh. The first round of tennis matches for ITS 2019 were the Women’s singles. Martina Das (2020) won her first match against Janaki Tulshibagwale (2021) who won her match against Kadambari Zokarkar (2019). Martina brought home the women’s title with a four set win over Kadambari in the final match. The men’s singles title was won by Shiva Kumar of Batch 2019 with wins against Anmol Das (2020) and Jainil Shastri (2021). The Women’s Box Cricket League of ITS'19 witnessed some nail-biting matches with Batch 2021winning the title. The tournament ended with an emotional guard of honor to Batch 2019. The ITS Boys Cricket saw all three teams with one win each after the rounds. The tournament went to the decider Superovers with Batch 2021 winning both theirs and lifting the title. Sukrit and Shivansh, co-captains of the SCMC cricket team, passed on their position to Jainil and Shashwat of Batch 2021. Meanwhile, Batch 2020 and 2021 met in the first futsal match of ITS 2019. Both teams had a strong defence strategy, the game ended without either of the teams scoring, resulting in a penalty shootout. The match ended with 2021 victorious by two goals. Batch 2019 won the second match with a score of 1-0. And they defeated Batch 2021 in the final to be crowned winners of futsal for ITS 2019. The table tennis matches saw fierce competition between all the three batches. Batch 2019, represented by Ansh Pherwani and Ayushi Sheth, won the men’s singles against both batches; women’s singles against Batch 2020 and mixed doubles against Batch 2020. And Batch 2021 represented by Bavana Gone and Rohan Chakraborty, won the women’s singles against both batches, mixed doubles against both batches and men’s singles against batch 2020. The first round of Throwball for ITS 2019 started with the girls’ teams with Batch 2020 defeating 2021. The second game saw intense competition between Batch 2019 and 2021 with the former clinching a narrow victory with the aid of their captain Disha Hans. The final matchup ended with 21-10, 21-11 victory for Batch 2020. The participants huddled beside the pool in Lavale in chilly weather for the swimming competition. It started off with 25m freestyle with wins for Avinash Ghosh (‘21) and Yukta Wane (‘20). Then, 25m backstroke with Tanmay Madhukar (‘20) and Yukta Wane (‘20) defeating the two other batches proudly. Ashish Prakash (‘20) and Yukta Wane (‘20) winded up as winners in 25m butterfly and Ashish Prakash (‘20) and Sanam Buxani (‘20) won in 25m breastroke. Batch 2020 won the freestyle relay and were crowned the swimming champions for ITS 2019. 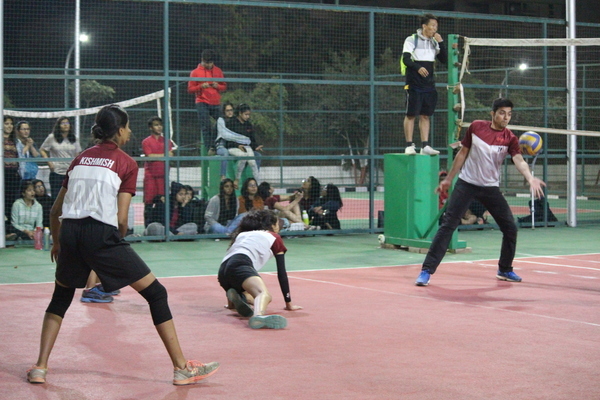 The volleyball tournament saw Batch 2020 pitted against 2019 in the final match which they won 25-6, 25-16. The Battle of the Batches continued in a series of fierce showdowns on the Badminton courts. The singles matches were dominated by wins from 2020 and 2021, with first years Anantjeet Singh Dutt and Sanuja Sunil winning three of the six matches and the other half being dominated by Ria Sharma and Vikram Verma from 2020. The final day of ITS saw the Athletics events in the 100m, 200m and 400 m for boys and girls, and 800m race for boys and a mixed relay race. Batch 2020 dominated the events winning all but the 100m boys’ sprint which was won by Jainil of Batch 2021. The cricket match of ITS 2019 between the faculty and the outgoing batch was a fitting finale to the event. Winning the toss and electing to bat first, Team Faculty’s openers put on a clinical display. The professors, who all entered to thunderous ovations, kept the scoreboard ticking with their brisk running between the wickets. The final score posted was 82-4. The second innings began disastrously for the opposition, with Anand taking two wickets in quick succession. Gupta and Shastri played gutsy knocks to regain some momentum. Prof. Arya put a dent in their progress by bagging two crucial wickets. The late gasp from the faculty team proved insufficient; as Thimmaya and Das then quickly won the match for the students. Packed with fours and sixes the match was an entertainer for all present. Around the City in 80 Ways! After months of anticipation and hard work, Jugaad - a pan Pune survival race of was held on 5th February, 2019. The PR batch's lively initiative finally bore fruit, and the amphitheatre was abuzz with excitement prior to the kick-off of the event. There were twenty participating teams, consisting of five members each. Dressed in white tees with their team numbers emblazoned across the front, each team was assigned one voluntary tagger to ensure that the game was played strictly by the book. The rules were simple - upon completion of certain pre-decided tasks, each team was given clues that would send them sprawling across the city, searching for the next clue. Members were not permitted access to their phones, and each team was handed a meagre sum of 100 rupees to manage their fares for the whole day. 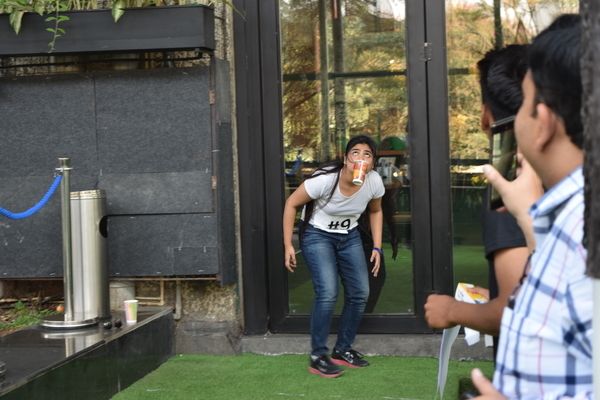 The OG team (consisting of Khushi Narula, Anmol Das, Amar Kate, Yukta Wane and Ajinkya Bhalerao) was the first to successfully solve all their clues and reach the last venue, and earned the title of the ‘Ultimate Jugaadus'. While some teams were awarded special advantages such as head-starts, extra cash and rides from one venue to another, others scrambled to solve their clues and reach the destinations ahead of other teams. Hitchhiking in rickshaws, tempos and in some cases, even office-goers' cars, they did whatever they could to make ends meet. A general sentiment shared by most participants was grateful astonishment at the sheer kindness of strangers in Pune. Their willingness to help was a boon for many, since travelling across the city on a shoestring budget is quite the challenge. Sweet gestures like offering to buy refreshments for team members, or going out of their way to help the competitors reach their venue made the experience a memorable one for those involved. 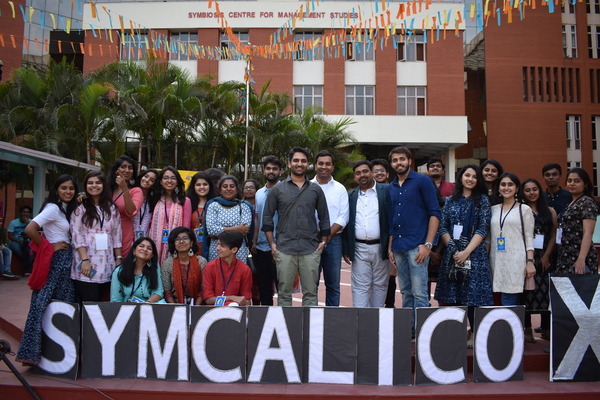 The annual alumni meet, titled Symcalico, was held on the 2nd of February, 2019. The theme for this year’s event was to celebrate the 10 years of SCMC and so, Symcalico brought past students of these 10 years together for a memorable evening. Varun (class of 2011) and Nandan (class of 2012) were the first people to arrive on the scene. More followed, setting the stage for some fond traveling down memory lane. Stories, anecdotes and jokes filled the air as those present provided a picture of how college functioned “back in their day”. Highlights ranged from how Prof. Vidyabhushan Arya ran with the alias “Veebs”, to the time when 17 students tried fitting into the college elevator. It was Prof. Arya's class all over again as two attendees interrupted the recounting of a disastrous field trip to engage him in a discussion about the current state of national affairs. When that was over, all present piled onto buses for a nostalgic trip around Viman Nagar, visiting favourite haunts like Phoenix Market City and Datta Mandir Chowk. Returning to campus, alumni and staff bonded together against the students to play Pictionary and Housie. The evening was then brought to a close with dinner, amicable conversations, and a large three-tiered cake. The curtain fell with students, staff and alumni taking photos and making merry, all in the spirit of Symcalico. After a hiatus of three years, the Batch of 2019 brought TESS (The East Side Story) back to life on 23 and 24 January. 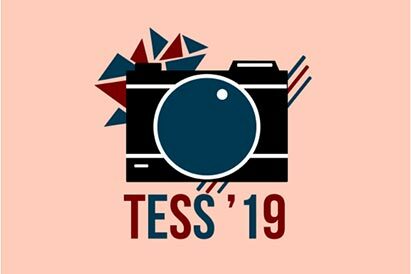 TESS is SCMC’s two-day film festival. From film-making to script writing, students geared up to showcase their cinematic skills and compete with each other. 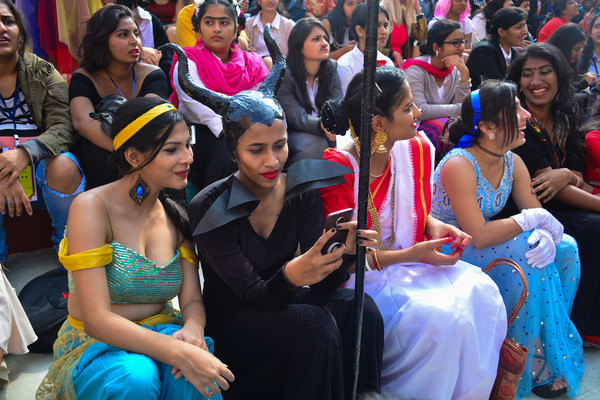 The event was inaugurated with the much anticipated ‘Cinema Day’, giving students and faculty the opportunity to cosplay their favorite movie characters. Several iconic cinema characters were brought to life by the students of SCMC. At noon, the topics for the ‘24-hour Filmmaking Competition’ were released where the students had to put together a film in just a day! This was followed by the ‘Cinema Day Treasure Hunt’, where selected teams competed to find hidden treasure. Day One of TESS came to a fitting end with the screening of a cult classic that changed the path of cinema: Pulp Fiction by Quentin Tarantino. Students braved the evening chill, huddled together in blankets and snacks to munch to watch the film. Day Two of TESS began with the lighting of the lamp in the campus auditorium by the chief guest for the event, Mr. Prashant Pathrabe, Director General, Films Division of India. The other guests were Mr. Rohit Adlakha, Product Evangelist at Fujifilm India Private Limited, and Mr. Pravin Mudholkar, Bureau Chief, IBN Lokmat, Network 18. The guests spoke about developments in the audio-visual industry. 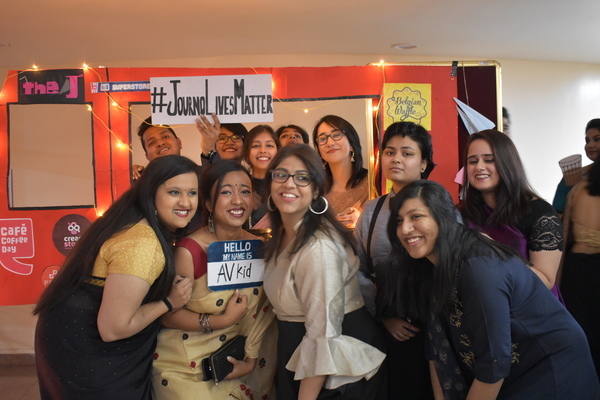 The afternoon session, Kahaani - screening of short films in the fictional category, showcased some of the best works that SCMC students and others created. The event concluded with the award ceremony. Best costume award for Cinema Day was bagged by Liora Bhite (Batch 2021), Parth Rahatekar (Batch 2020) and Saylee Gatne (Batch 2019). The first and second winners for Kahaani were May by Harold Antony Paulson and Listen to the Storm by Arnav Pingale. Winners of the 24-hour filmmaking competition were Devansh and team for Kaam 24, and the runners-up were Akshat and team for Wacko. Team Han Solo won the first position for Treasure Hunt. 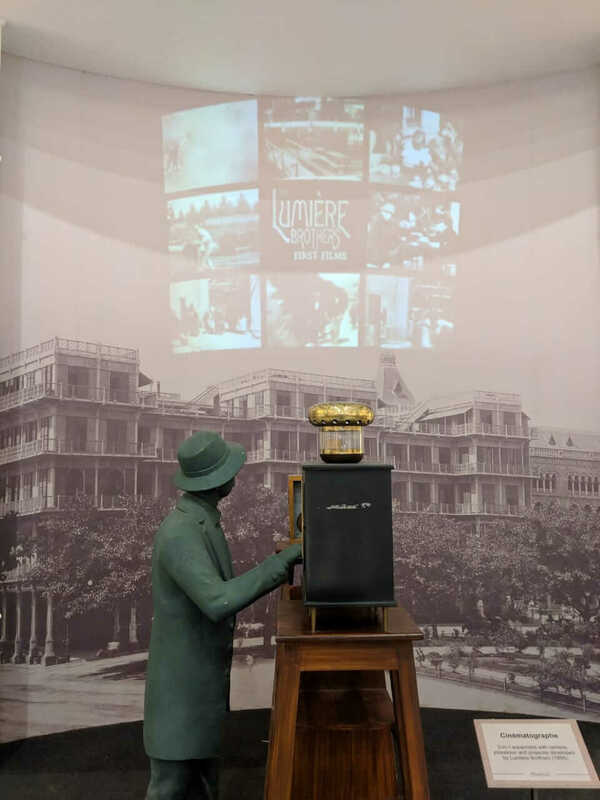 From kaleidoscope to 3D animation, and gramophones to surround sound, the newly opened National Museum of Indian Cinema (NMIC) is an engrossing, well-told story of 100 years of the one of the world’s largest film industries. 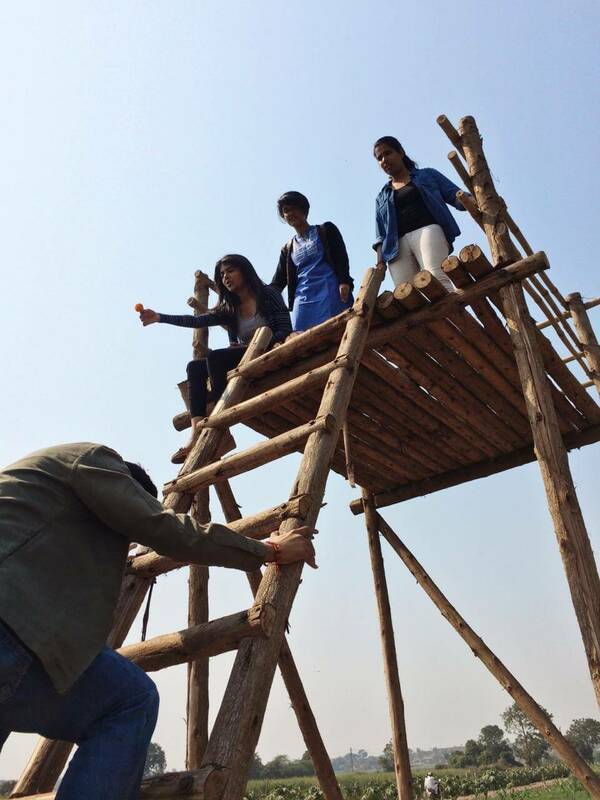 In February this year, students of journalism and AV production visited the NMIC in Mumbai as a part of a field trip. Mr. Prashant Pathrabe, Director, National Film Archives of India, introduced the museum, the first-of-its-kind in the country, and gave an overview of its construction. A tour of the museum took the students through a series of exhibitions that cover the art and craft of filmmaking in India in its entirety. NMIC consists of two buildings – the Gulshan Mahal, a 19th century heritage bungalow, and a modern multi-storeyed structure with state-of-the-art facilities. 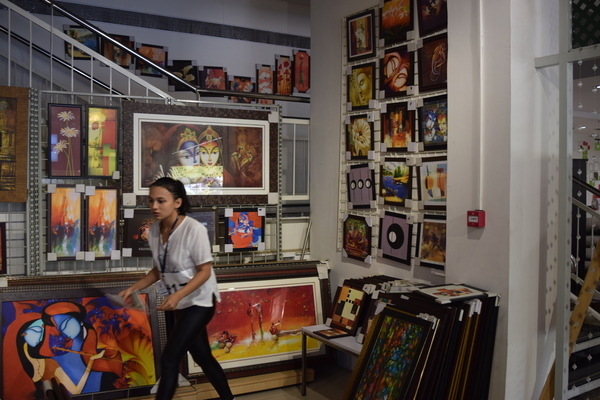 At the Gulshan Mahal the exhibits provide historical information, including aspects of the evolution of mainstream and regional cinema, covering key artists of each era, and masters of technicalities from behind the scenes. Some of the vintage equipment displayed include early projectors, gramophones, kaleidoscope and other artefacts. Another exhibition has movie posters placed aesthetically and chronologically like an art gallery, which hooks the visitor from the very start by narrating sequential stories. The newer building has information on the latest technological developments in films. One of its floors is dedicated to children, and hosts activities and interactive sessions where they can learn the basics of various film techniques such as animation, foley and sound design. The tour was a delightful experience for SCMC’s movie buffs and aspiring filmmakers and journalists who were also treated to a special screening of Tezpur, a Films Division documentary about the heroes who fought valiantly to protect this small town in Assam from invasion at the height of the Indo‐China War of 1962. "We live in a policy disconnect in India"
"It's India v/s Bharat now"
"The urban elites can never form policies for the rural good"
Such phrases have become increasingly commonplace in the country whenever one discusses governance and policy making at large. It isn't without reason though. India’s policy makers, often entrenched in their air conditioned cubicles, don’t make policies which the large majority of this country — rural, not well off and dependent the most on government actions — find to be working for them. For journalism students, it is increasingly important to be aware of them and grasp a holistic understanding. The third year journalism students of SCMC were taken to Shindewadi, a 'model' village just 30km to the east of Pune, the exact location being Saee Farmstay and Agrotourism hub. The date was 31st of January, 2019 and they left for the trip at around 10 in the morning, accompanied by Professor Vidyabhushan Arya. They were greeted by Mr. Langde, who runs the agro tourism and farm stay property. He is a social activist, a politician and a prominent personality in the village and nearby areas, having twice been the sarpanch of the village. The students were given a tour of the gram panchayat office to see its workings. They were informed about the three-tier structure of governance, and what it lacked in terms of effective functioning. Next was a trip to the fields where they saw a variety of crops in different stages of growth. The batch had a free-wheeling discussion with Mr. Langde on a range of topics — from how the one-size-fits-all approach of the government has been ineffective, on how policies have impacted their lives, their views on the way out of rural distress, and so on. It was a thoroughly enriching experience and opened everyone’s minds to fresh ideas and perspectives. Following this, the students were given a tour of the animal farms, learnt a bit about the farming process for a few crops and tried their hands at fishing. A sumptuous, traditional lunch served by the hosts topped off the visit. In True Spirit (ITS), SCMC’s sports fest, is making its annual appearance this year in a bigger, better avatar. Students from three batches will compete in more than 10 categories over three days from 28th to 30th January 2019. Batch 2020, the defending overall champions, will be pitted against newcomers of Batch 2021 and the outgoing students of Batch 2019 who are expected to go all-in in what will be their last competitive sporting event at SCMC. The competitions this year are in the following categories: Tennis, Futsal, Football, Cricket, Volleyball, Basketball, Swimming, Badminton, Throwball, Box Cricket, Athletics, Table Tennis and more. On the entertainment front, the highlight this year is the faculty-student face-off in cricket and faculty-faculty games scheduled on the last day. We invite aspiring filmmakers from around India to register for The East Side Story (TESS) 2019, our two-day festival that celebrates the joy of cinema and film-making. We have designed TESS as a platform that brings together talented young people to collaborate and create the best of student cinema. We have a host of competitions across several categories — 24 Hour Film Making, Short Films, Documentaries, Ad Films, Dialogue Writing, Script Writing and Photography — that will put your skills to test. The festival will also screen quality films, and host workshops by experts and lots of other fun events. For details about the programmes and registration, download our festival catalogue here. 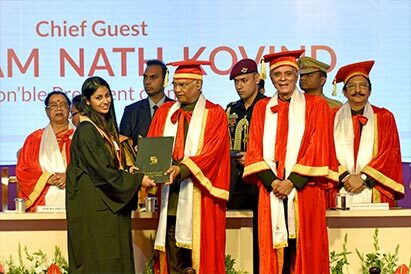 Saloni Mimani, a graduate of the BA Mass Communication programme at SCMC, has received the SIU Chancellor’s Gold Medal for the best outgoing student for the academic year 2018. An outstanding student who shined in academics as well as extra-curricular activities, Saloni has been an excellent ambassador for both SCMC and SIU. She specialized in Advertising and is currently working with a Mumbai-based ad agency. 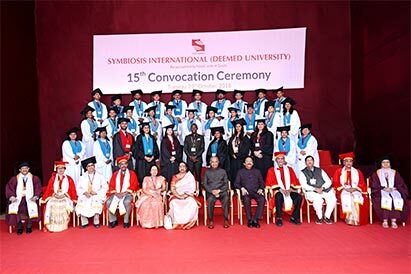 One of the most prestigious honours at Symbiosis International University, the Chancellor’s Gold Medal is awarded annually to a student who has displayed all-round excellence. The selection is made from graduating students across all SIU institutes. To put Saloni’s achievement in perspective, this year nearly 6,000 students graduated from SIU undergraduate and post-graduate programmes! She received the award from Hon’ble President Shri Ram Nath Kovind at SIU’s 15th Convocation ceremony. Students at SCMC will now be able to work on their journalism, PR and Marketing projects in a dedicated facility equipped with industry-related software and other digital resources. News production will shift from the computer labs to this new space allowing journalism students to expand their learning and the scope of their projects. At the newsroom, they will be producing a campus newsletter which will also have hyperlocal news, besides television news bulletins and news features and documentaries. They will also work on a daily digital news bulletin using wire service feeds. The Digital Marketing Lab is intended for students specializing in Advertising and Public Relations to hone their skills in broader areas such as content creation, blogging, designing, media monitoring, and branding strategies. They will also have the chance to familiarize themselves with industry software using in marketing and advertising. 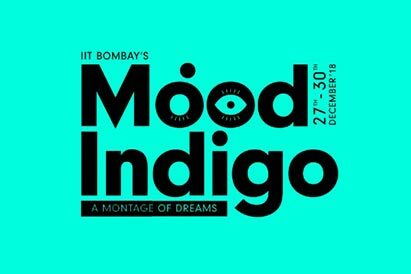 A year of off-campus successes had a fitting finale as SCMC students notched up a series of victories at Mood Indigo, Asia’s largest annual college cultural festival, organised by the Indian Institute of Technology (IIT), Bombay. Michelle Patrick, a final year student specializing in public relations, won ‘Speak Up’, a debating event where participants were pitted against themselves as they had to present arguments for, as well as against the same topic. Ishaan Bhattacharya, a second year student, completed a double for SCMC in the category with the runners-up prize. Nayanika Mukherjee, a third year student of Journalism and Jaskirat Dhillon, a first year student, struck gold at Spell Bound- a Mood Indigo spelling competition, inching past their competition in a nail-biting finale. Adding some Bollywood masala to their experience were first year students, Filza Iqbal and Shashwat Chaturvedi, who emerged victorious at Bollyvaganza, a Quiz competition which tested their knowledge of one of the biggest film industries in the world. SCMC was represented at Mood Indigo, which took place from 27th-30th December, 2018, by a contingent of 38 students from the three batches. They participated in theatre, music and literary events at the fest, after showcasing their talents in highly competitive qualifying rounds. The wins at Mood Indigo follow successes at Malhar 2018 in August when SCMC students won the Best Outstation College trophy.